Cornerstones’ Pathways to Sustainable Employment program is designed to fill a gap in workforce development and job training programs that do not serve the needs of job seekers in the Herndon/Reston area whose education and skill levels put them at a disadvantage in the workplace. While participating in the program, individuals are offered additional wrap-around care management supports to ensure they have access to the myriad of partner resources and services that can reduce the often multiple barriers to their employment and thus help individuals not just obtain, but maintain stability as they journey toward self-sufficiency. The Pathways to Sustainable Employment program offers vulnerable residents an opportunity to help position themselves better for jobs in not just traditional, but new and growing employment sectors in the Dulles Corridor such as Professional, Scientific and Technical Services, Healthcare and Social Assistance, and Accommodations and Food Services (Virginia Employment Commission 2015). one-on-one employment counseling to help individuals identify appropriate employment opportunities and needed skill-building. The Pathways to Sustainable Employment program operates out of Cornerstones’ Connections for Hope Partnership (C4HP) office in Herndon, VA: 1141 Elden Street, Suite 200, Herndon, VA 20170 (703-429-5000). Interested in Pathways to Sustainable Employment Volunteer Opportunities? Click here. 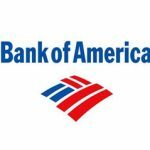 Thank you Bank of America for Your Generous Support! Cornerstones has been awarded a generous grant as part of the Bank of America Charitable Foundation’s focus on economic mobility for individuals and families. The grant supports the Pathways to Sustainable Employment program, focusing on the needs of individuals and families – workforce development and education and basic needs.